CAN I RECOVER LOST WAGES IF I’M INJURED IN ARKANSAS? If you’ve been injured in a car accident in Arkansas, and another driver was at fault, you’re probably aware that you have legal rights to compensation for the physical injuries, medical treatment, and property damage you’ve experienced. But did you know that you may also be entitled to reimbursement for lost income? This category of damages can be confusing for many people, but the personal injury lawyers at Taylor King Law are here to answer any questions you may have. 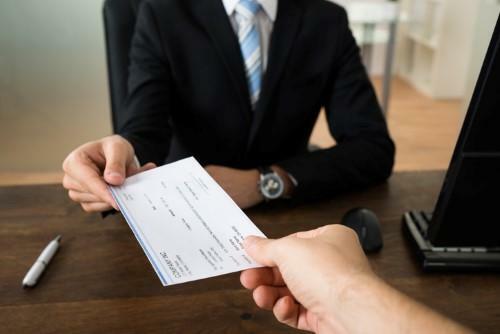 What falls under the category of “lost income?” ​Often referred to as “lost wages,” this includes any income during 1) the time that you were unable to work, and 2) any time you spent receiving treatment for your injuries from the accident. That time may range from a few days to several months, depending on the severity of your injuries and the length of your treatment plan. Whether you work part-time or full-time, receive an hourly wage or monthly/yearly salary, work overtime hours or contract work, or are self-employed, ou’re still entitled to those lost wages. Never assume that your employment status or an unusual employment situation will negate your legal rights. Your lawyer can help walk through any situation in more detail. What if I used sick leave or vacation days? ​Though you technically received payment if you used sick leave or “paid time off” (PTO) to cover days after the wreck when you were unable to work, there’s good news: The law states that you are still eligible to recover those wages. Your loss of sick days or PTO is considered the same as losing the pay itself, since you would much rather have used those days for vacation time or other personal matters. How can I be sure my lost wages will be included in the settlement amount? ​When it comes to lost income, the insurance company won’t simply take your word for it; you need proof. That’s why it’s vital to thoroughly document every day or hour you missed from work, as well as your hourly wage or yearly salary. Taylor King Law provides every client with the tools they need to record every important detail of their case, including lost wages. When you communicate openly and honestly with your attorney, he or she can help ensure that nothing is forgotten or omitted. Can I be reimbursed for lost opportunities, like missing a job interview or business meeting? ​This question is more complex, and the answer may depend on your situation. Lost opportunities are more difficult to quantify; that is, it’s hard to assign them a dollar amount as you would for missing days of work at an hourly rate. However, that doesn’t mean they aren’t relevant, so it’s important to discuss all issues of lost income with a qualified Arkansas injury lawyer. If you can build a strong case that your injuries led to the loss of a significant job or income opportunity, you may be able to receive added compensation from the at fault driver. Have you been injured in a car accident, slip-and-fall accident, or other situation where another person’s negligence has left you unable to work, even for a short period of time? You may have legal rights to compensation. The Arkansas car wreck lawyers at Taylor King Law help accident victims just like you every day, all over the state. Call 1-800-CAR-WRECK today to begin your free consultation. Your legal team will help you document all lost wages so that you can get back on your feet and recover your financial losses. We’ll be on your side, by your side. You’re one call away from getting help today!